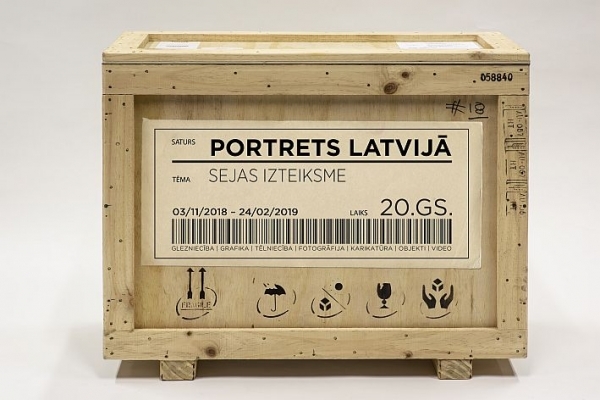 Marking the centenary of the Latvian State, from 3 November 2018 to 24 February 2019, the Latvian National Museum of Art in Riga offers the exhibition "Portrait in Latvia. 20th century. Facial Expressions", which will take place in three venues simultaneously – the Great Hall of the LNMA main building, the Arsenāls Exhibition Hall and Romans Suta and Aleksandra Beļcova Museum. Ritums Ivanovs paintings are on display at the Arsenāls Exhibition Hall. 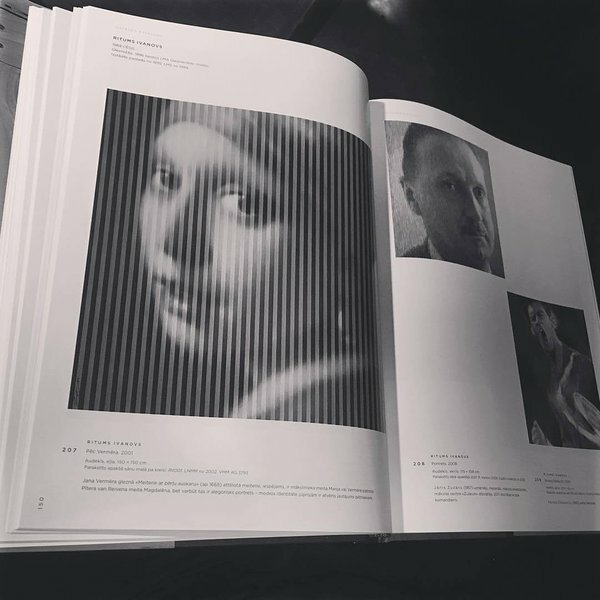 The exhibition is produced by the Latvian National Museum of Art (LNMA) and offers an encounter with a selection of the finest portraits from a whole century. The wide-ranging display and the accompanying catalogue continue the research done by the Rundāle Palace Museum with great respect for the genre. The project can be regarded as one exhibition in three different spaces that should be perceived and explored as a unified whole. A huge number of artists have portraits in various techniques but not all of them can be described as masters of the portrait. The exhibition poses the question of the portrait’s status in the 20th century and the present day. The portrait is tied to the artist’s ability to find a dialogue with the model, to express a certain attitude to the image or oneself. Thus, it is something more than a photographic record or a psychological message. In crossing the threshold of the millennium, the 20th century portrait contains both symbols and canonical traditions, encoded readable or hidden messages as well as the structured contradictions of the contemporary art process. More than 1100 exhibits – painting, graphic art, sculpture, photography, objects, video works, and installations – from the Latvian National Museum of Art, Museum of Literature and Music, Museum of the History of Riga and Navigation, Tukums Museum and the M. K. Čiurlionis National Museum of Art in Kaunas, private and authors’ personal collections provide an overview of the development of the genre and its stylistic interpretations. The exhibition is based on three pillars or central axes that unite the selected works in a general impression. First, the display gives an overview of the genre’s stylistic development, the compositional rules and classification, a comparison between the traditional and modern portrait and their coexistence or mutual interaction. The second pillar highlights the significance of the artist portraitist over the period of a century reminding viewers of which masters of the portrait expressed the spirit of their day, who were the avant-garde or quite the opposite, who operated in a different dimension of space and time. The third aspect is with great respect to show people and to reflect the characteristic iconography of the 20th century. 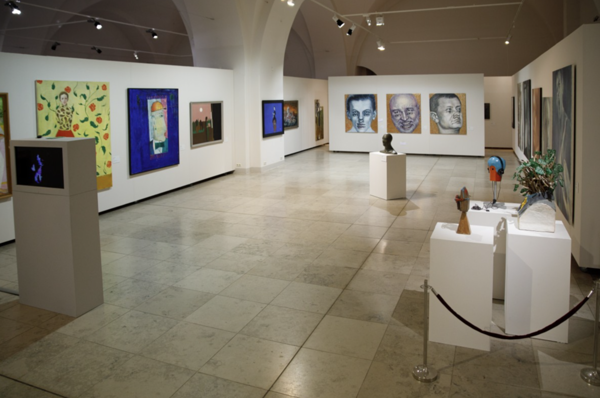 Works from the first half of the 20th century can be viewed in the Great Hall of the main building of the LNMA (artists – Janis Rozentāls, Johans Valters, Gustavs Šķilters, Jēkabs Kazaks, Jāzeps Grosvalds, Teodors Zaļkalns, Oto un Uga Skulmes, Valdemārs Tone, Ludolfs Liberts etc.). 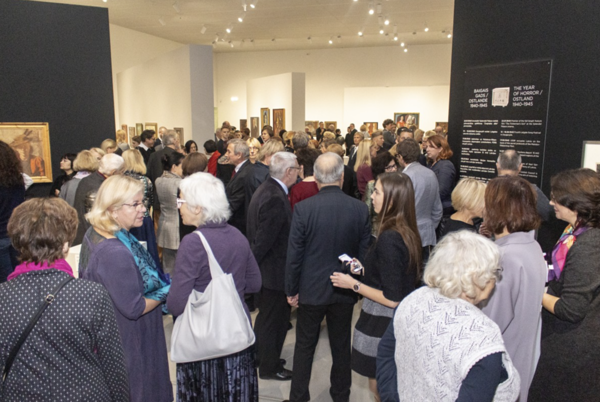 The exhibition continues in the Arsenals Exhibition Hall where visitors can get an overall impression of the portrait in the second half of the century (authors – Jānis Pauļuks, Džemma Skulme, Imants Lancmanis, Ritums Ivanovs, Miervaldis Polis, Līga Purmale, Maija Tabaka, Boriss Bērziņš, Biruta Baumane, Lea Davidova-Medene, Kārlis Zemdega, Kārlis Baumanis, Arta Dumpe, Jānis Mitrēvics, Gļebs Panteļejevs, Egons Spuris, Gunārs Binde, Inta Ruka etc.). There is a view that a sense of humour is not characteristic of the Latvian mentality and even more so that the caricature is second class, subordinate and perhaps even insignificant in the hierarchy of art genres. The section of the exhibition in the Romans Suta and Aleksandra Beļcova Museum, Portrait with a Smile. Сaricatures and Cartoons in Latvia. 20th Century, is specifically devoted to one hundred years of the activities of artists caricaturists. The portrait, in a direct or indirect way, documents the shaping of Latvia’s history, social and collective memory, expressions of national identity, the creation of statehood, political contexts and dues paid to ideologies. The spectrum of the exhibition covers a quite broad range: from the depiction of the individual to generalisation; from state commissions to free interpretations; from the representational to the private and intimate. The exhibition shows the 20th century as a bygone century – a time when the independent Latvian state was created and developed, lost and restored. It characterises an age in which personalities, regardless of obstacles and conflicts, invested their experience and powerful intellectual creative potential. A wide programme of events will be provided during the exhibition, including Story of One Portrait, Dialogues, theatre performances from the cycle Collection. One-Act Plays. Classics Before the Classics, lectures on the theme, workshops, master classes from artists, guided tours, and other creative activities. Arenals Exhibition Hall of the Latvian National Museum of Art at Torņa iela 1 is one of the largest exhibition halls in Riga. It is located in an important architectural monument – a customs warehouse or arsenal built at the beginning of the 19th century in the late Russian Classicism style. It was adapted for museum use in the second half of the 1980s. It holds that part of the LNMA collection dating from the second half of the 20th century to the present day. There is a project for the reconstruction of the building with the idea that the Arsenāls could be the home of a permanent display of Latvian art from the second half of the 20th century. These days, instead of a permanent display, there are regular exhibitions on the ground floor of works from the museum. The hall also hosts exhibitions of conceptual art, international projects and solo exhibitions by Latvian and foreign artists.